Rosa Walton and Jenny Hollingworth conjured something beautiful and twisted, infectious and otherworldly on their debut album, ‘I, Gemini’. Armed with dated Yamaha pre-sets and a toybox of British music room staples (recorders, clapping games, windband instruments) they created the album every A-level music tinkerer wished they could make. Still, it only could have come from their own brains. They quickly picked up a cult fanbase at seventeen, thanks to their earworm writing and eerie stage personas. Every YouTube comment on videos of their early performances could be split into those raving about their unique approach, those calling them industry plants, and equally unhelpful fans begging them not to sell out. That’s enough pressure for anyone, but for two young people growing into their own identities, it could put you off music forever. 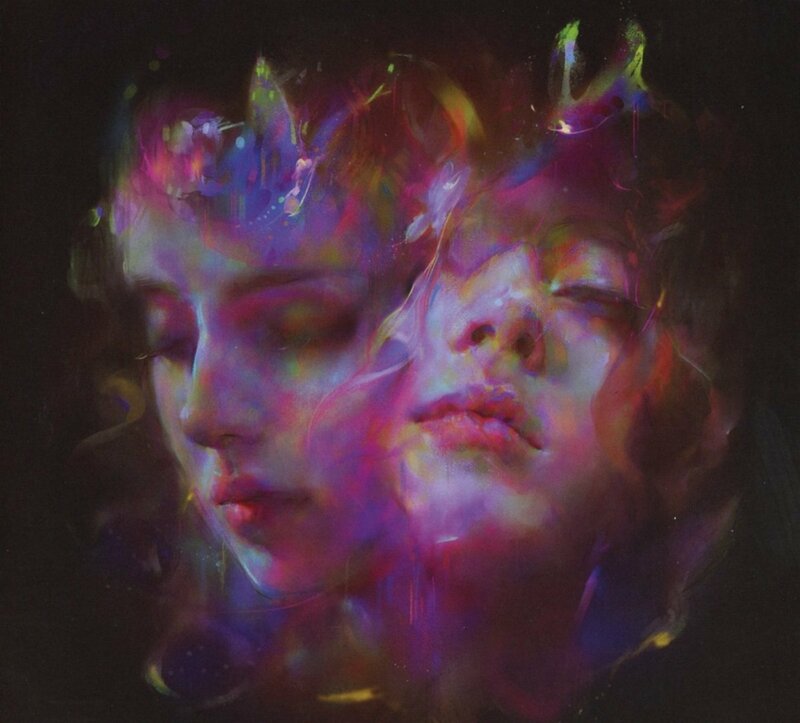 Instead, Let’s Eat Grandma form their own path once again with ‘I’m All Ears’, an expansive, personal collection of tracks that form a coming-of-age document for teenagers everywhere. They tackle romantic online relationships, gender, image and platonic friendships with freshness and reality. Instead of writing in tacky, faux-deep sloganeering that has often plagued people who attempted to write for a generation, they decide to write for themselves, and their clear voices create a gorgeous reflection of your own experiences. Take lead-single ‘Hot Pink’ – an unabashedly bright song that uses neon-coloured femininity as a weapon. The choice to work with PC Music titan SOPHIE was a no brainer – her metallic, ultra-sleek production matches the duo’s cute/scary blend well. Its shouted chorus hits like few in recent memory. We move from one of the best bangers of the year to one of the sweetest pop songs. Again backed by SOPHIE’s distinctive drums, ‘It’s Not Just Me’ is their catchiest, most straight-forward track yet. The group are careful not to lose their charisma in the innocence; the vocals turn ragged and passionate on the emotional peaks. Their topics are universal, but their sharp approach makes these familiar topics fresh. ‘Falling Into Me’ shifts gears again with fluid prog-pop, and opens with one of the oddest lines the band have ever written (‘I pave the backstreets with the mist of my brain’). It’s worth noting that their lyrics are a heady mix of vulnerable and surreal throughout. Later in the album, they write of skin peeling back like clementines and speak of the mind like a homescreen. From this point on, the band’s ideas get sprawling. ‘Snakes and Ladders’ is an epic glam ballad that feels as indebted to John Carpenter soundtracks and the darkest material from Portishead as it does old-school Bowie. The duo paint a magic lineage between the people that inspire while keeping their voices at the centre. ’I’ll Be Waiting’ is another winding anthem that combines nursery rhyme optimism with subtly complex layering and knotty rhythms. Like elsewhere on the album, it’s a cut that benefits from the addition of live drums, which feel designed to boost the heft and in-the-moment feel that Let’s Eat Grandma shoot for, vocally. The song also happens to be one of Rosa Walton’s most captivating performances, especially as she directs the key change at the Disney Channel emulating climax. The band get even more loose and adventurous on the backend, with the ragged nine-minute ‘Cool and Collected’ and eleven-minute closer ‘Danny Darko’. The former takes a ghoulish pych-rock approach, but like many tracks here, Let’s Eat Grandma pivot into new territory constantly. The stakes grow greater with each new verse, as more synths are added and melodies subvert expectations. ‘Danny Darko’ underlines all the nostalgia, drama, and scale that they’ve been playing with throughout. Its patient, warming pace emulated the introspection and melancholy of a late-night comedown. The song is already a live staple. At their recent Glasgow show, the band began by lying on the ground, legs crossed, letting the rest of the room settle into the casual opening chord before slowly adding guitars. Then their voices. Then drums. Then more keys. Then some dance moves. Finally, they bursted into a wild recorder solo, the peak of the whole set. They ran back and forth, beckoning the audience to join in. All of that enthusiasm, confidence and wit is carried into this recorded version. The key changes hit even harder, and now that the lyrics can be picked apart, their power sinks in. Through all the eccentricities and quirks, it should be said that ‘I’m All Ears’ manages to be a gloriously readable pop album on first listen. For a band hailed as cult heroes one album in, this is the boldest statement they’ve made so far.